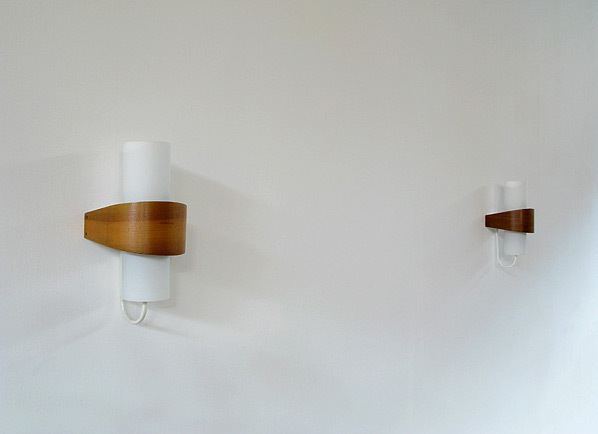 Pair of Modern wall lights made by Philips circa 1958. White enameled metal structure with plywood teak finished and milk glass. Paires d'applique moderne, production Philips environ 1958. Structure en métal couleur blanc, finition en plywood teck.